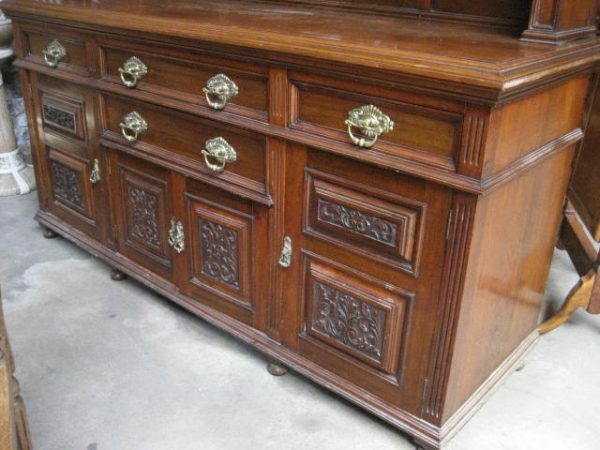 Antique British Solid Mahogany Sideboard with Carved decoration and beveled mirrors. 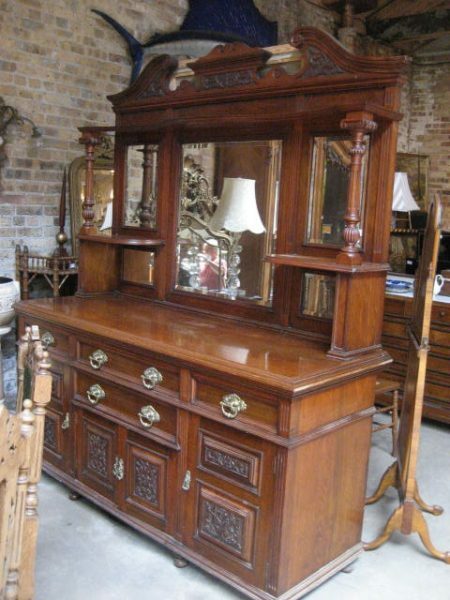 Ca 1890 Great Original condition. Hand made dovetail construction. 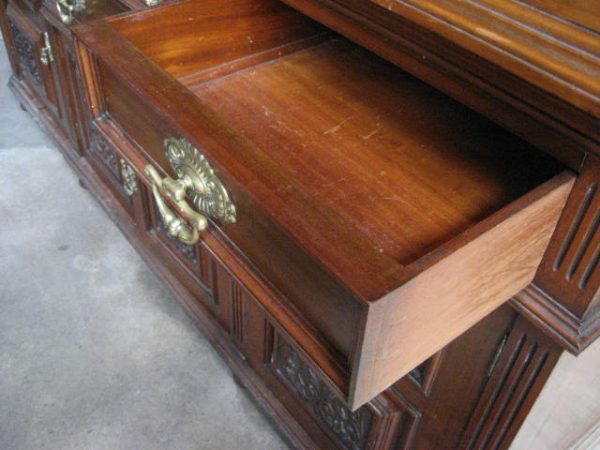 Solid mahogany inside the drawers. 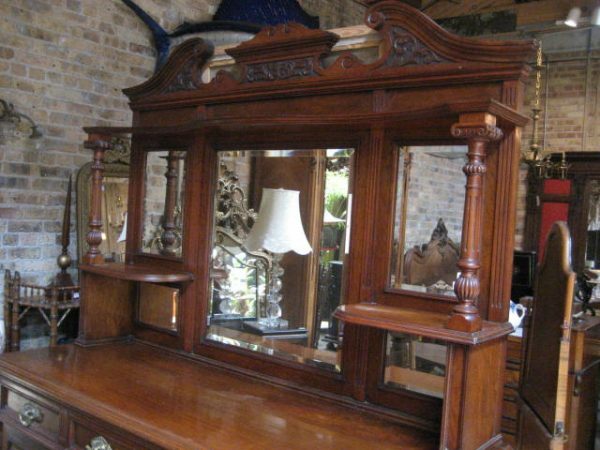 Great for a back bar.